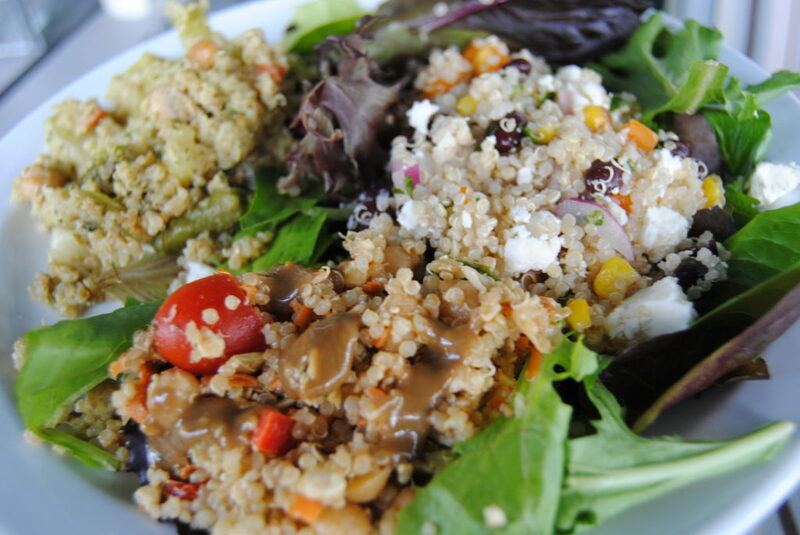 Quinoa salads are a great way to maintain a healthy diet. They help to avoid harmful ingredients that are usually contained in packaged foods. Quinoa is also high in protein, fibre and other nutrients. I usually cook a batch of quinoa and then use half of it to prepare a meal. This way, the remainder can be used for a different dish. A few days ago I posted a Black Bean Quinoa recipe. With the remainder of the quinoa, I made two other salads. One salad included a balsamic vinaigrette with fresh vegetables and the other was a tahini flavoured dish. They are great to have on their own or on a bed of mixed greens. Toss all ingredients together then drizzle with Balsamic Vinaigrette. Mix together the Tahini Dressing ingredients in a food processor or blender. 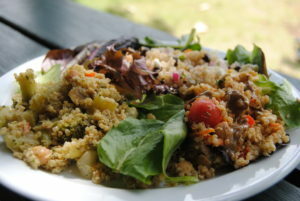 Toss with the Tahini Quinoa ingredients. Store both salads in an air tight container for up to 5 days.